An orca is a marine mammal. They are often confused for being a whale because of their name ‘killer whale’, but did you know that orcas are actually dolphins? In fact, they are the largest member of the dolphin family! Orcas are incredibly popular as they are the most widely distributed of all whales and dolphins, found in every single ocean! They are very familiar with their black and white colouring but actually, depending on where they live, have very different appearances, behaviour, ways of communicating and diet! Find out some amazing facts below about the incredible orcas. Why are orcas called 'killer whales' when they are dolphins? Dolphins and whales are closely related. Orcas were given the name ‘killer whale’ by ancient sailors’ observations of groups of orcas hunting and preying on larger whale species. They called orcas asesina ballenas, or ‘whale killer’ – a term that was eventually flipped around to the easier ‘killer whale’. Their Latin name, Orcinus orca, also reflects this observation of orcas feeding on large whales. Orcinus translates to ‘of the kingdom of the dead,’ and orca refers to a kind of whale. We know that orcas are top predators, yes, but not the vicious ‘whale killers’ that the ancient mariners thought them to be. If you could give orcas another name, what would you call them? Looking at all populations, orcas are generalist eaters, consuming fish, seals and sea lions, dolphins and porpoises, sharks and rays, large whales, cephalopods (octopods and squids), seabirds and more. However, some orcas specialise on specific prey, and it turns out orcas are picky eaters! Once they’ve learned what their family eats, they aren’t likely to switch diets. Orcas sleep in a very different way to humans. We have a breathing reflex and when we sleep or become unconscious, we continue to breath automatically. Orcas cannot sleep in this way, they have to remain conscious, even when they are sleeping! This is because their breathing is not automatic - they have to actively decide when to breath, and so they must be conscious even when sleeping. If like us, orcas went into a deep unconscious sleep, they would stop breathing and suffocate or drown. To get around this, orcas only allow one half of their brains to sleep at a time; the other half stays alert enabling them to continue breathing whilst looking out for dangers in the environment. They only close one eye when they sleep; the left eye will be closed when the right half of the brain sleeps, and vice versa. This type of sleep is known as unihemispheric sleep as only one brain hemisphere sleeps at a time. Orcas periodically alternate which side is sleeping so that they can get the rest they need without ever losing consciousness. When sleeping, orcas swim very slowly and steadily, close to the surface. In orca populations, knowledge is passed down to younger individuals from their elders – what to eat and were to find it, how to catch it, who to avoid, vocalisations and calls unique to pods and family groups, and the distinct ‘accent’ of the population. Having multiple prey items to choose from probably led to the niche specialisations we see today – millions of year ago, different groups started eating different things to avoid competing for the same food. Now these groups are genetically different, in addition to their unique appearance and cultures. Orcas are highly intelligent, highly adaptable and able to communicate and coordinate hunting tactics. They are extremely fast swimmers and have been recorded at speeds of up to 54kph! 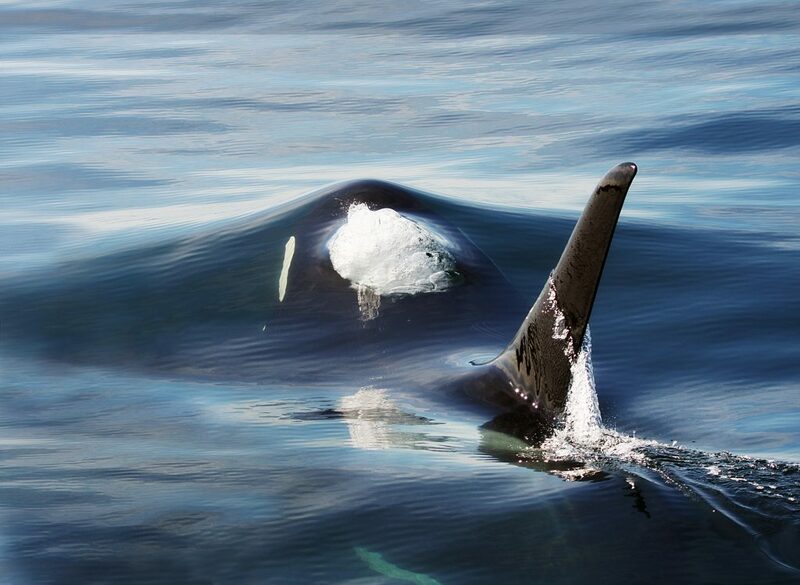 A wild orca pod can cover over 160 kilometres a day, foraging and socialising. Did you know that there are several kinds of orcas (called ecotypes). They hunt specific prey and live in different parts of the world. What threats do orcas face? Orcas worldwide face a number of threats. They get caught in fishing nets and gear accidentally, face problems with toxic waste and pollution in the sea. 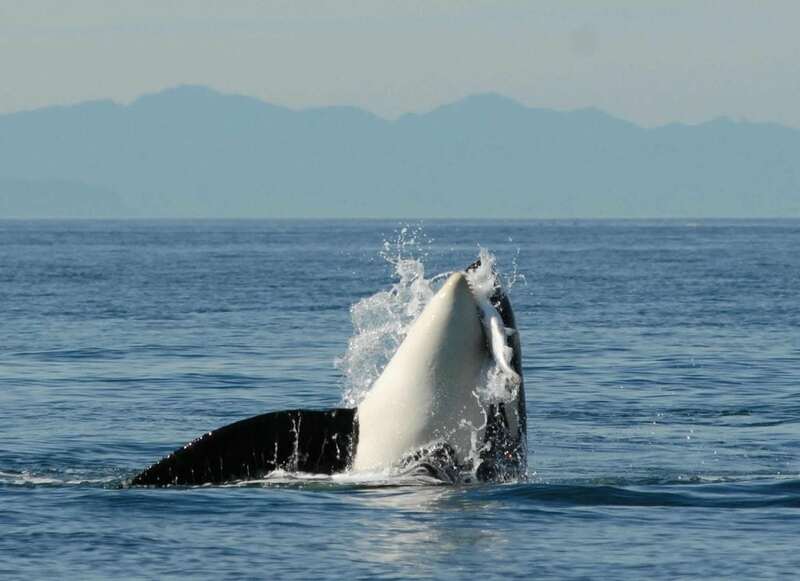 Increase in boat traffic can result in collisions with orcas and an increase in underwater noise pollution. In some regions – Greenland, Japan, Indonesia, and some Caribbean islands – they are still victims of whaling efforts. Historically, populations in the Pacific Northwest and North Atlantic were targeted for live captures to be sold to oceanariums like SeaWorld. The Southern Residents were extensively targeted and still struggle to recover – they have never come close to regaining their pre-capture population numbers. Orcas in the Pacific waters off Russia are still captured and sold into captivity. How does WDC help orcas? WDC works to protect orcas, and their homes, across the globe. From ending captivity to dam removal efforts in the Pacific Northwest, WDC will not stop until all orcas, whales, and dolphins are safe and free. Our Adopt an Orca programme helps support the work of Orcalab, the longest-running orca research project in the world. Russian researchers are studying these amazing whales which are still a target for marine parks. We are supporting efforts to restore habitat for wild salmon, the main food for this endangered group of orcas.